Nearly every agricultural society has marked the high point of summer in some way, shape or form. On this date–usually around June 21 or 22 (or December 21/22 in the southern hemisphere)–the sun reaches its zenith in the sky. It is the longest day of the year, and the point at which the sun seems to just hang there without moving – in fact, the word “solstice” is from the Latin word solstitium, which literally translates to “sun stands still.” The travels of the sun were marked and recorded. Stone circles such as Stonehenge were oriented to highlight the rising of the sun on the day of the summer solstice. Early European traditions celebrated midsummer by setting large wheels on fire and then rolling them down a hill into a body of water. The Romans honored this time as sacred to Juno, the wife of Jupiter and goddess of women and childbirth; her name gives us the month of June. Festivals in her honour took place in the village of Knockainey, County Limerick (Cnoc Aine = Hill of Aine ). Áine was the Celtic equivalent of Aphrodite and Venus and as is often the case, the festival was ‘christianised’ and continued to be celebrated down the ages. It was the custom for the cinders from the fires to be thrown on fields as an ‘offering’ to protect the crops. Christians have chronicled the rolling of flaming (solar) wheels since the Fourth Century of the Common Era. By the 1400’s the custom was specifically associated with the Summer Solstice, and there it has resided ever since (and most likely long before)... The custom was apparently common throughout Northern Europe and was practiced in many places until the beginning of the Twentieth Century. When they arrived in the British Isles, the Saxon invaders brought with them the tradition of calling the month of June. They marked Midsummer with huge bonfires that celebrated the power of the sun over darkness. For people in Scandinavian countries and in the farther reaches of the Northern hemisphere, Midsummer was very important. The nearly endless hours of light in June are a happy contrast to the constant darkness found six months later in the middle of winter. Litha has often been a source of contention among modern Pagan and Wiccan groups, because there's always been a question about whether or not Midsummer was truly celebrated by the ancients. 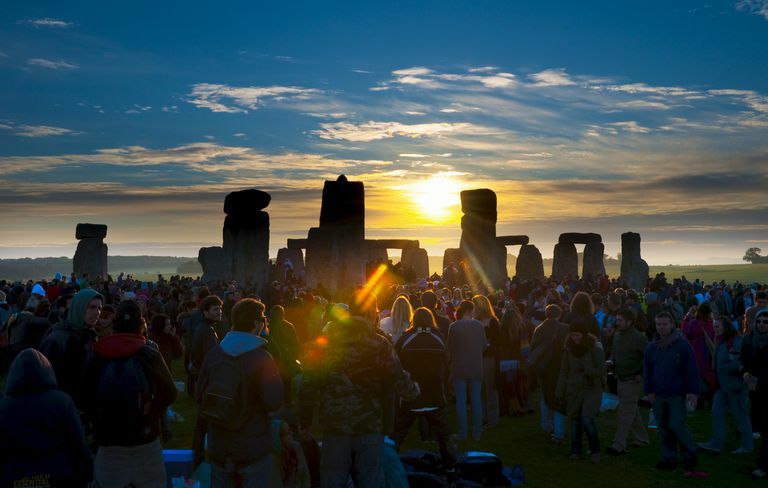 While there's scholarly evidence to indicate that it was indeed observed, there were suggestions made by Gerald Gardner, the founder of modern Wicca, that the solar festivals (the solstices and equinoxes) were actually added later and imported from the Middle East. Regardless of the origins, many modern Wiccans and other Pagans do choose to celebrate Litha every year in June.